Sachin is a phenomenon, and has touched lives of millions of sports lovers across the world with his bat. He's a down to earth personality. A man with an average height, Tendulkar has been keeping the tri-color waving since his international debut. THE COUNTRY'S highest civilian award, Bharat Ratna, it appears, may soon be conferred on the living legend of cricket, Sachin Tendulkar, a man synonymous with world records. According to reports emanating from sports ministry, sports minister, Ajay Maken has recently written a letter to ministry of home affairs requesting to include sports arena also in the domain considered for honoring the coveted award. As of now the guidelines crafted for honouring the persons for Bharat Ratna considers people who have rendered exemplary services in the field of art, literature, science and public service. 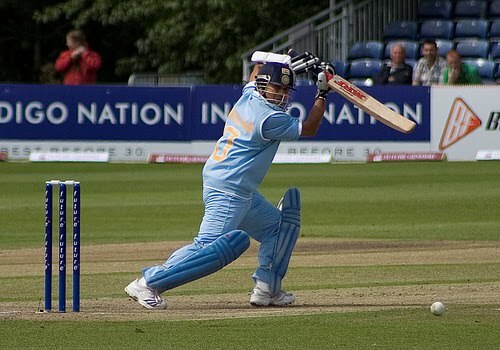 Once the government gives its nod to the proposal of the sports minister in principle, the decks will be cleared for Sachin’s coronation. Over the years, many people have supported the idea of honoring the wizard of cricket with nation’s highest civilian honor, the Bharat Ratna. Sachin has virtually re-written record books in his glittering awesome career spanning over two decades. Now, whatever he does on the cricket field automatically becomes world record. The legend has excelled on every pitch, in every condition and with the fiercest opponent. Tendulkar is a phenomenon, he has touched lives of millions of sports lovers spread across geographies with his bat and down to earth personality. A man with height of 5.5 feet has been keeping the tri-color waving since he stepped into the cricket arena in the year 1989 against the arch rival, Pakistan. The living legend of cricket has already found his name in folklores; he is a youth icon and looked upon by many as an epitome of inspiration. Let’s hope the file will not be biting dust somewhere in the corner of home ministry. And in the near future we will see our icon bestowed with Bharat Ratna. Honoring him with nation’s highest civilian award will be a fitting tribute to virtual god of cricket.